Our local fishing club—the COAF Field Team, in Texas—uses PowerBait, a popular dough bait, to catch rainbow trout in ponds. Dough bait for trout comes in a variety of colors and scents; depending on your area, one color or scent may work better than others. Our club uses two mixes in particular: Glitter Trout Dough Bait Rainbow with Garlic Scent and Glitter Trout Dough Bait Rainbow with Extra Scent. We have discovered the extra scent and the different colors along with the glitter tend to trigger more strikes in the ponds we fish. That said, we also bring a container of pink PowerBait as a backup; pink is one color missing in the Rainbow offering. Trout like it: glittering AND garlic-perfumed. What PowerBait Dough Bait works for you? To fish with PowerBait Trout Dough Bait, the Team uses four fishing rigs which are described in the sections below. Do check them out and let us know if they work for you this season! The weight of the bullet weights and the size and number of split shot used can be modified based on the existing conditions such as wind, current flow, and casting distance. 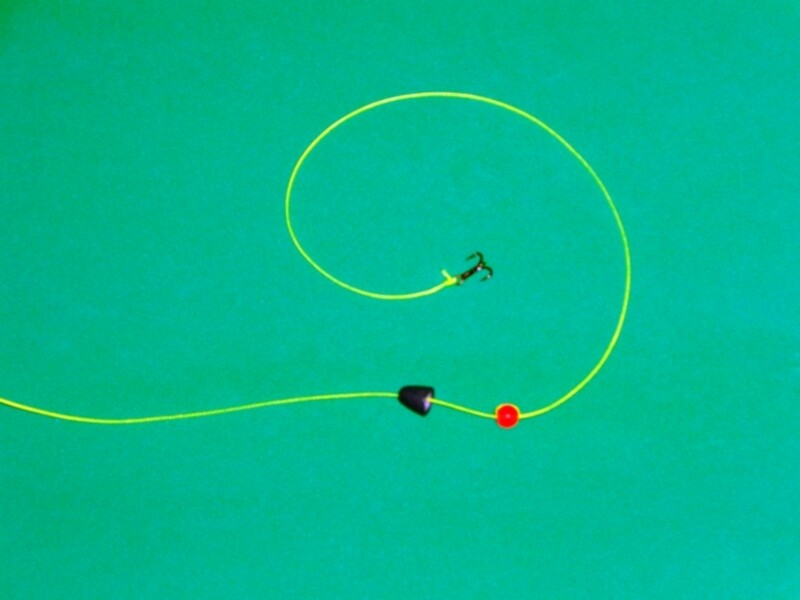 For ease of illustration, we are using a yellow Dacron line to make the trout fishing rigs described in this article. When fishing, we use 4-6 lb. test monofilament fishing line. Most often, the brand is Stren or Trilene: whatever happens to be on sale at our local sporting goods store. The first of the four trout fshing rigs described in this article uses a bullet weight, a bead, and a hook. 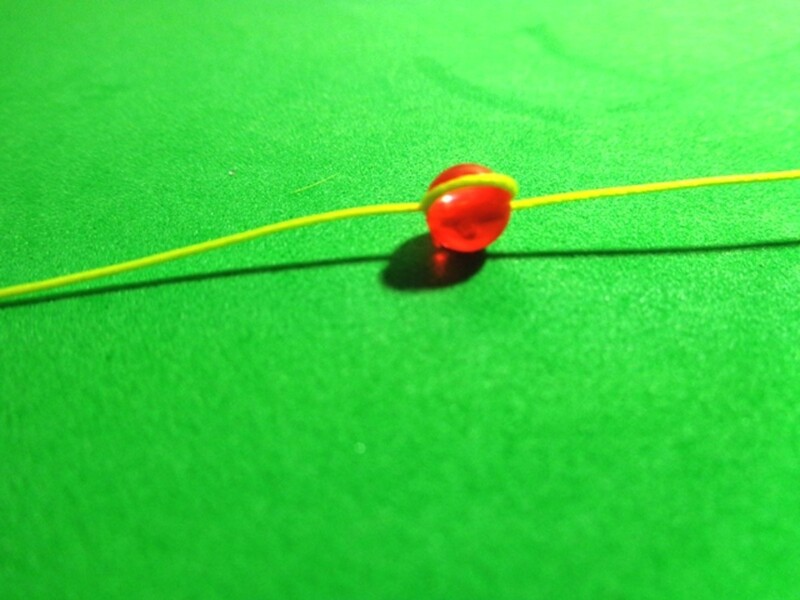 This is a quick rig to tie and allows for adjusting the tag end (leader) by loosening the loop through the bead. 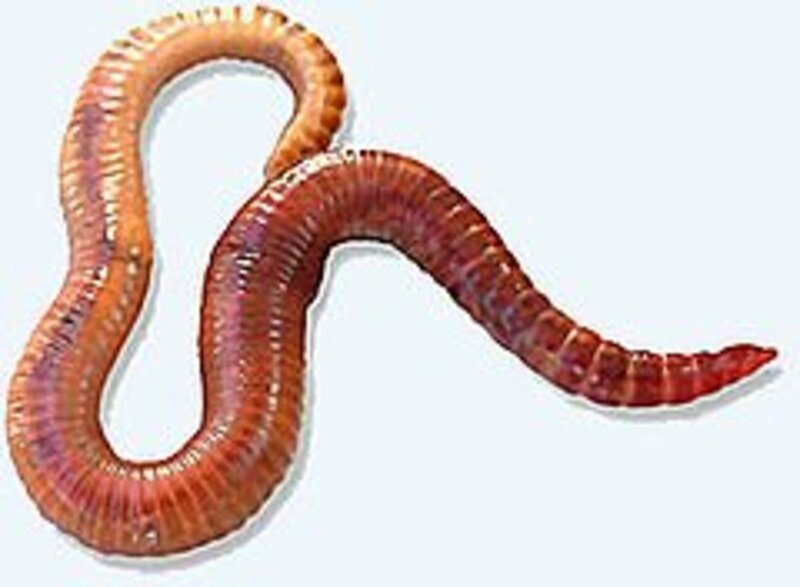 When used with an ultralight fishing rod, it casts easily and makes for a long cast when needed. It also is sensitive to light strikes, as the line slips through the weight minimizing drag, which will increase hook ups with finicky trout. Rig #1's drawback is that it is limited in strength because of the loop created by the bead. 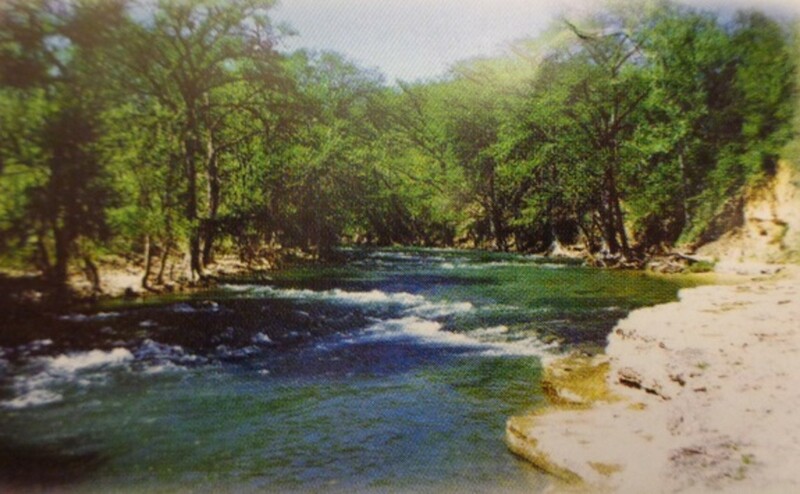 It should only be used where small rainbow trout (9-13 inches) are stocked. If larger rainbow trout are in the area, better to use Trout Fishing Rig #2 or Trout Fishing Rig #3. Begin by threading the fishing line through the bullet weight, with the pointed end toward your reel. Next, thread the fishing line through the bead from one end. Double the fishing line back, and thread it through the bead a second time, passing through the same end as before. 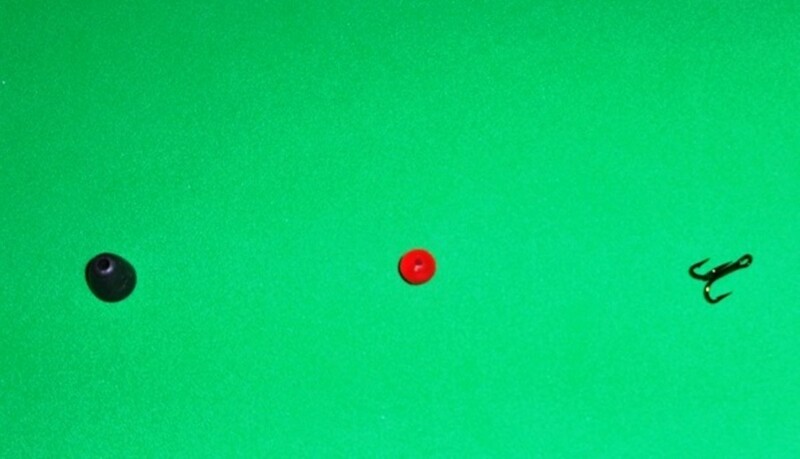 When the fishing line is tightened, the bead should look like the picture below. Allow for 12-18 inches of fishing line on the tag end. If you need to increase the tag end, loosen the line through the bead and adjust to the desired length. Finally, using an improved clinch knot, tie the hook to the tag end. Refer to the picture above, Trout Fishing Rig #1, to see the completed rig. This second trout fishing rig uses a bullet weight, a bead, a small swivel, and a hook. Begin by threading the fishing line through the bullet weight, pointed end toward your reel. 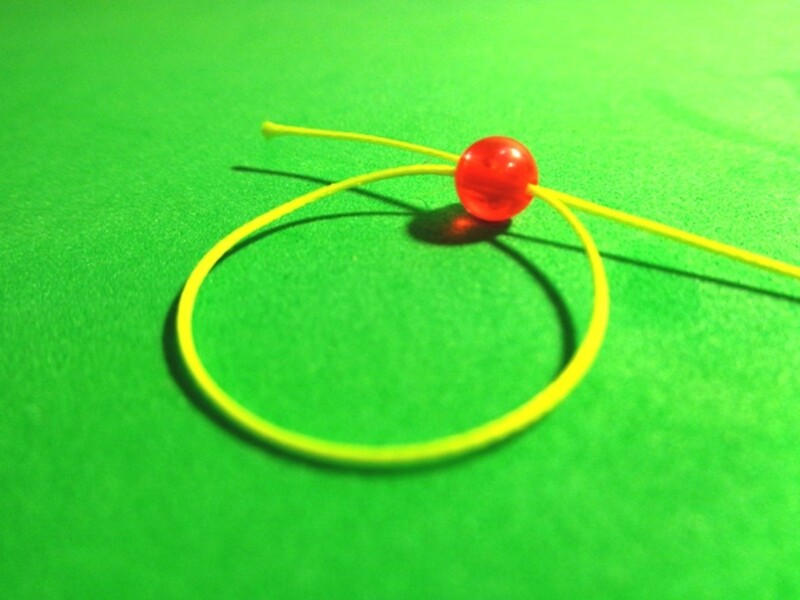 Next, thread the fishing line through the bead, and then, using an improved clinch knot, tie the small swivel to the fishing line. Then, measure 12-18 inches of fishing line to make a leader, and cut it and tie it to the other end of the small swivel. Finally, tie the tag end of the leader to the hook. Refer to the picture above, "Trout Fishing Rig #2," to see the completed rig. 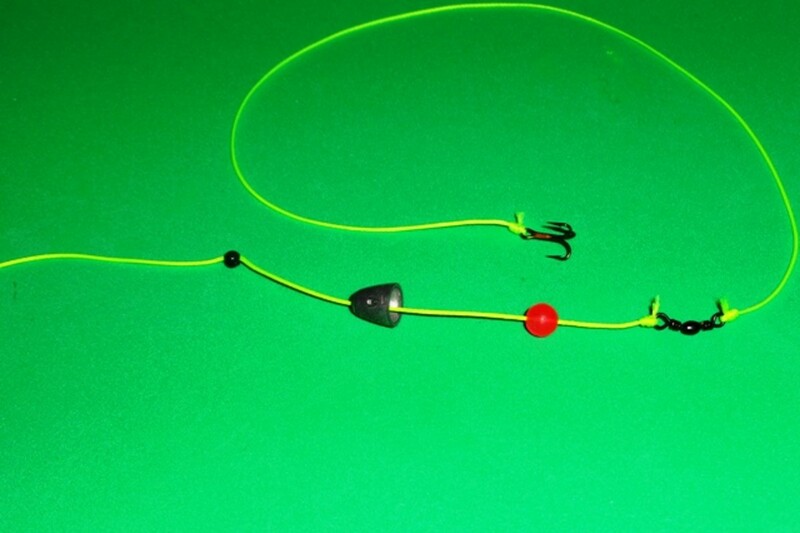 This rig takes a little longer to tie compared to Rig #1 and does not allow easy adjusting of the leader's length. However, it will handle larger Rainbow Trout! It is sensitive to light strikes, as the line slips through the weight minimizing drag, like in Trout Fishing Rig #1. Its drawback is that when it is fished in rivers with a strong current, the rig may slip and the hook may fail to set. When this happens, use Trout Fishing Rig #3. The third trout fishing rig uses a small #6 split shot, a bullet weight, a bead, a small swivel, and a hook. Begin the same way as Trout Fishing Rig #2. Then, push the bullet weight and bead against the small swivel. Finally, attach the small #6 split shot about two inches from the bullet weight. Refer to the picture above, "Trout Fishing Rig #3," to see the completed rig. Adding the small #6 split shot lets the rig handle stronger currents, and lessens the likelihood of the current causing the line to go slack. 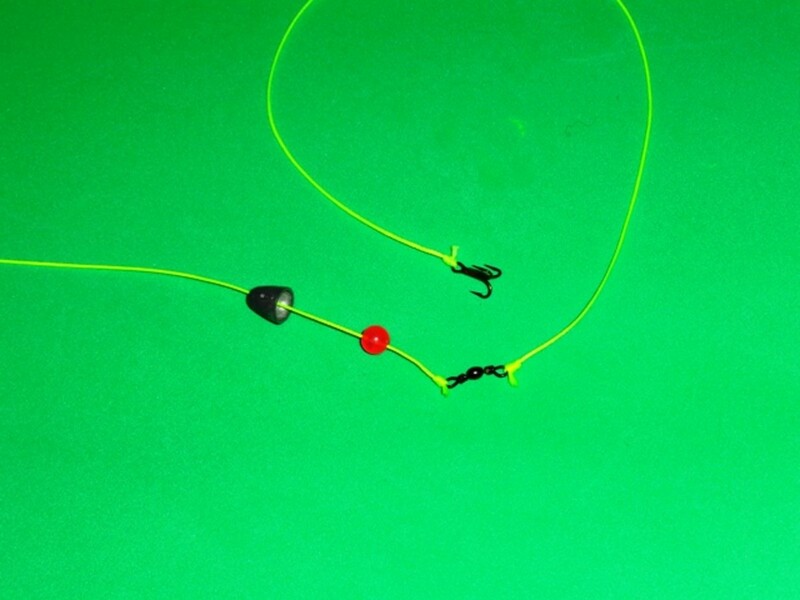 The fourth trout fishing rig is the simplest to set up, using a 3/0 split shot and a hook. 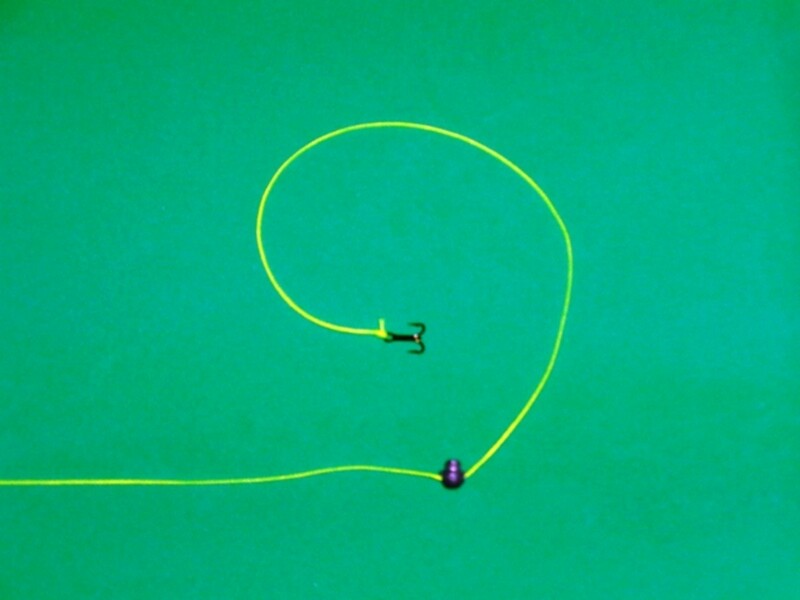 Attach the hook to the fishing line with an improved clinch knot. 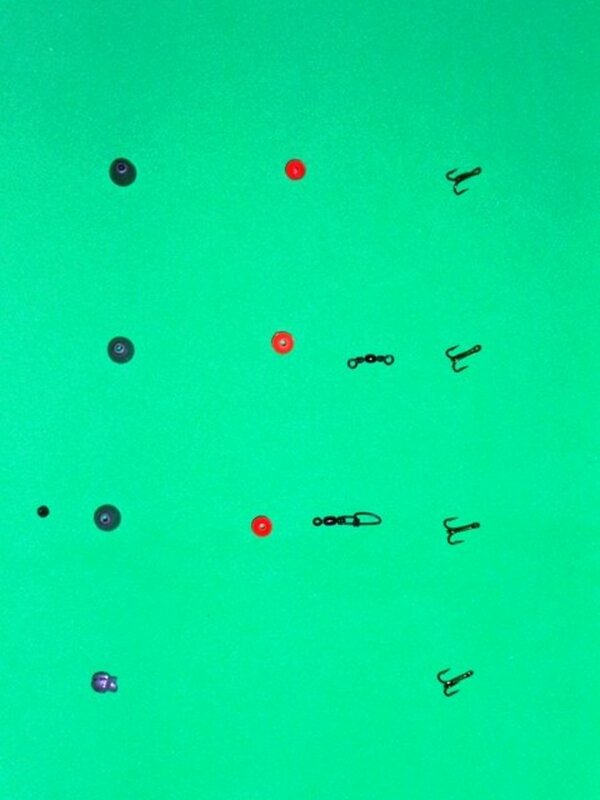 Then measure 12-18 inches from the hook and attach the 3/0 split shot. That's it ... refer to the picture above, "Trout Fishing Rig #4," to see the completed rig. This rig is the least sensitive of all the rigs described, because the fishing line does not slip through the weight and the fish will feel drag against the weight. 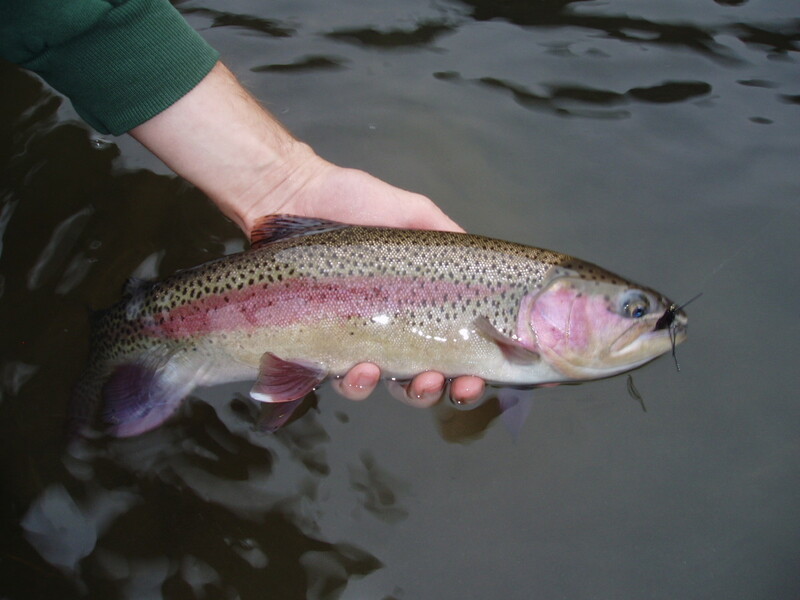 However, it will handle larger rainbow trout. It uses a minimum of components (a hook and a split shot). More weight can be added as conditions require. And, it is quick to set up, especially with cold fingers in freezing weather! We use this as a backup rig when we have broken our line and need to rig up quickly, but our hands are frozen cold. PowerBait Works at Night, Too! When the Field Team fishes for rainbow trout using PowerBait, we like to use ultralight fishing gear. 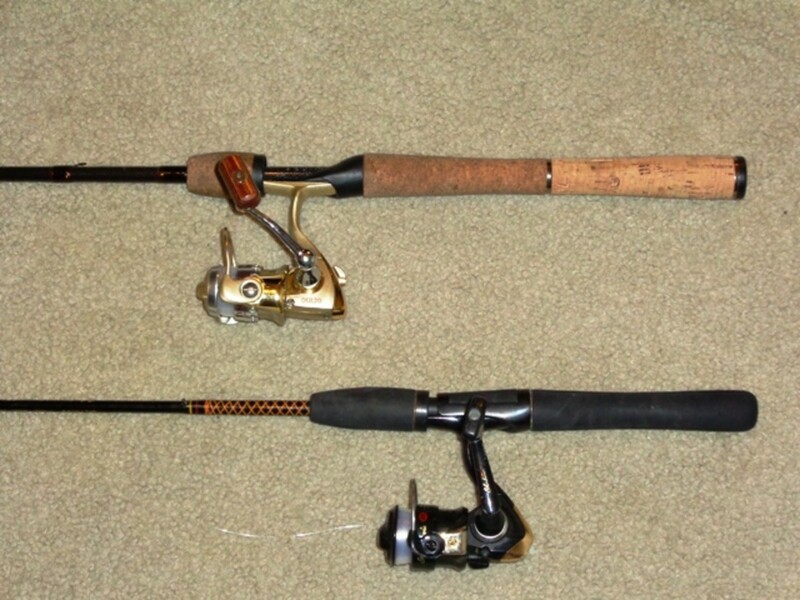 This last season, the two fishing rods we used the most were a 4' 6" Ugly Stik ultralight rod with a Shakespeare spinning reel, and a 6' 6" Berkley Medium Light Lightning Rod with a Pinnacle spinning reel. This season we plan to continue to use them but will likely use the longer Lightning Rod more, as we seem to cast further with the extra length compared to the shorter Ugly Stik. Both reels are spooled with 4-lb test monofilament fishing line. 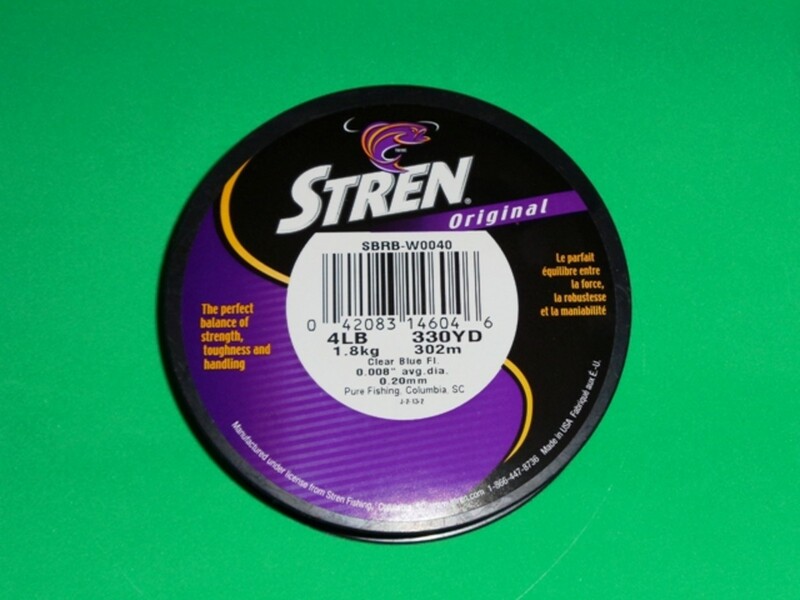 This season we went with Stren, as it was on sale at our local sporting goods store. 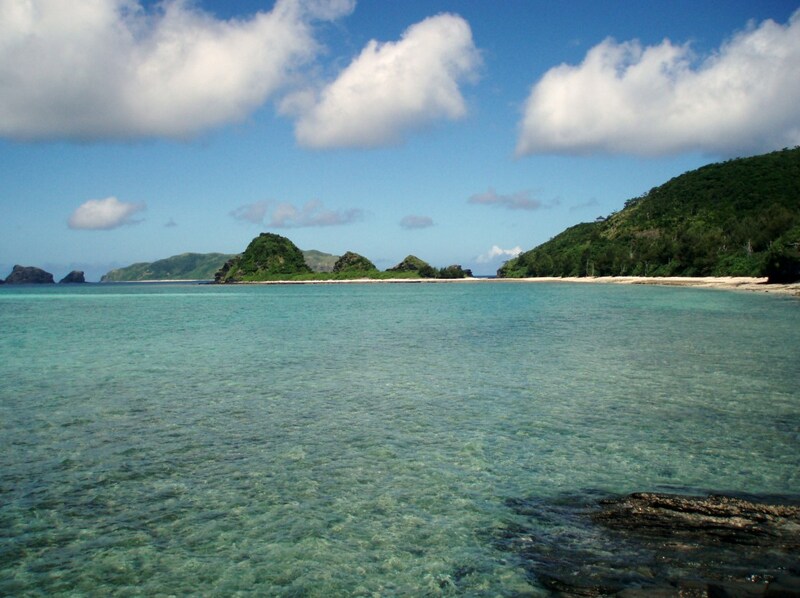 And, as always... Good Luck and Good Fishing! Thanks Trout mouthed heathen! For our area, not had issues with lily pads due to winter temps. For vegetation, will shift to a Bubble Fly Rig is the hooks keep getting clobbered. Stay tuned for more on the Bubble Fly Rig... almost done writing the article. Great info! I just recently switched to bullet weight rigs on my ultra light with great success!! What rigs do you prefer for fishing under lily pads or heavy vegetation? 9/23/18... Poll is still going strong... looks like Chartreuse has taken the lead over Rainbow with Yellow and Orange following behind! 11/24/16... 1053 votes in the PowerBait Poll. Rainbow comes in first, Chartreuse is second, and Yellow and Orange remain neck and neck at 16% and 14%, respectively. 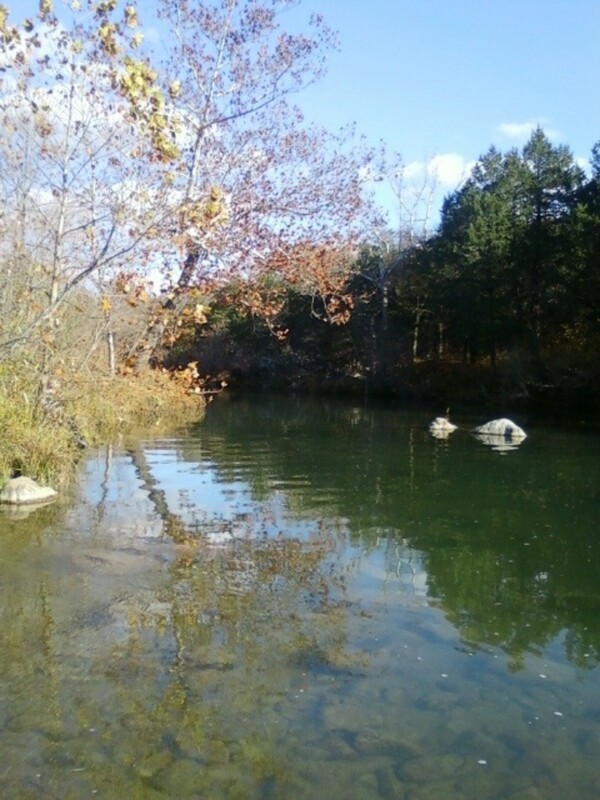 The Winter Trout Stocking Season has begun for some; we hope to see if the rankings remains consistent this Season! 4/16/16... 813 votes in the PowerBait Poll. Rainbow, Chartreuse, and then Yellow and Orange still neck and neck at 16% and 15%, respectively! Perusing your Hubs and trying to learn a thing or two! Thank you! Powerbait was one of the first baits I ever learned to fish with. 1/18/15... 303 votes in the PowerBait Poll! Rainbow, Chartreuse, and then Yellow and Orange are neck and neck with Yellow ahead by Orange by 1%. 9/8/14... 220 votes! Rainbow, Chartreuse, then Yellow! But, do look at Orange! 7/16/2014... the poll has 182 votes today. Rainbow continues to lead. Chartreuse is next. But, Yellow is starting to close on Chartreuse! 6/27/2014... the poll has 157 votes. Guess what? It's still Rainbow and Chartreuse leading! Running in third is Yellow! 6/22/2014 and the poll has 146 votes! Rainbow and Chartreuse are still leading! Poll results as of 6/06/2014 shows 115 votes with Rainbow and Chartreuse still leading! Like the Poll results. Looks like Rainbow and Chartreuse are leading the colors with 62 votes casted as of 4/28/2014! Used Trout Fishing Rig #3 today and limited out. Was having trouble with the current and the rig did well in increasing hook ups! 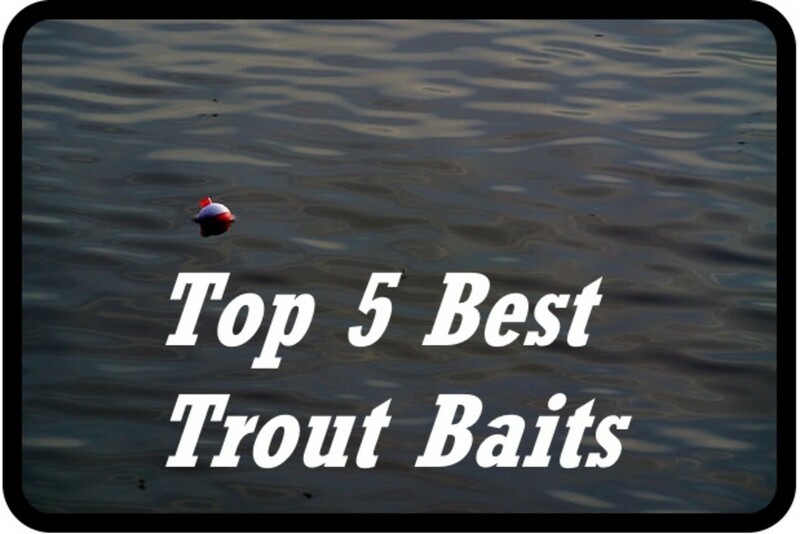 Appreciate the responses to the PowerBait Trout Dough Bait Poll. Looks like Chartreuse is in the lead right now! 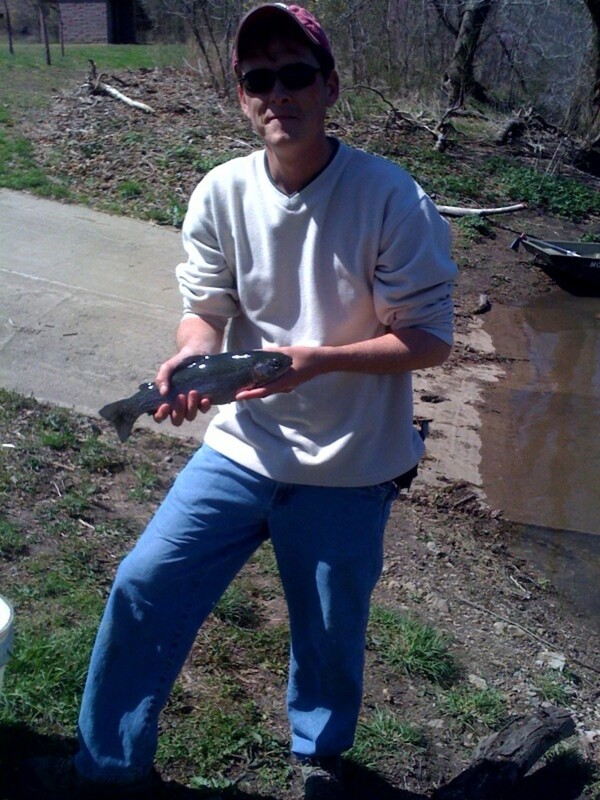 Did use Trout Fishing Rig #1 and fished a local pond stocked with Trout. 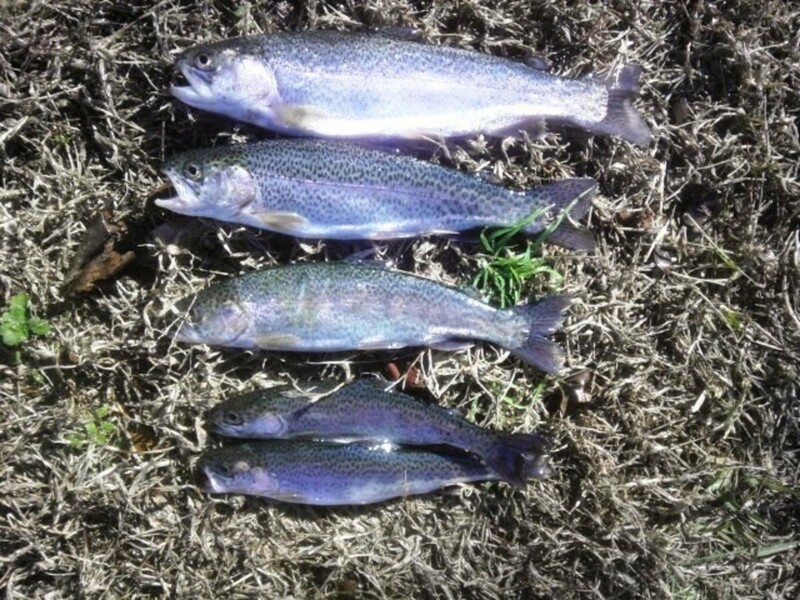 Caught three using Rainbow PowerBait in less than 15"... so switched to a fly rod for some catch and release fishing! Keep the poll responses coming! 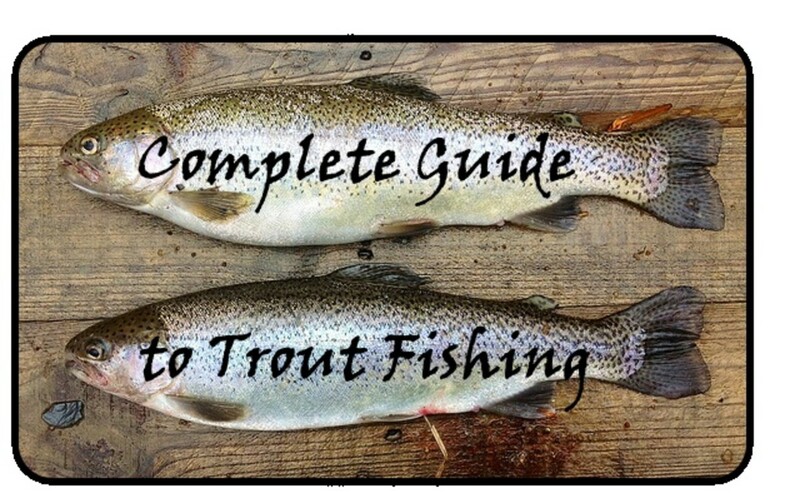 Hope this article helps a few Trout Fishermen this Season!